Our summer has flown and storms are now striking the far South West nearly one a week, their screech and cold fury focusing our thoughts on planning an escape. 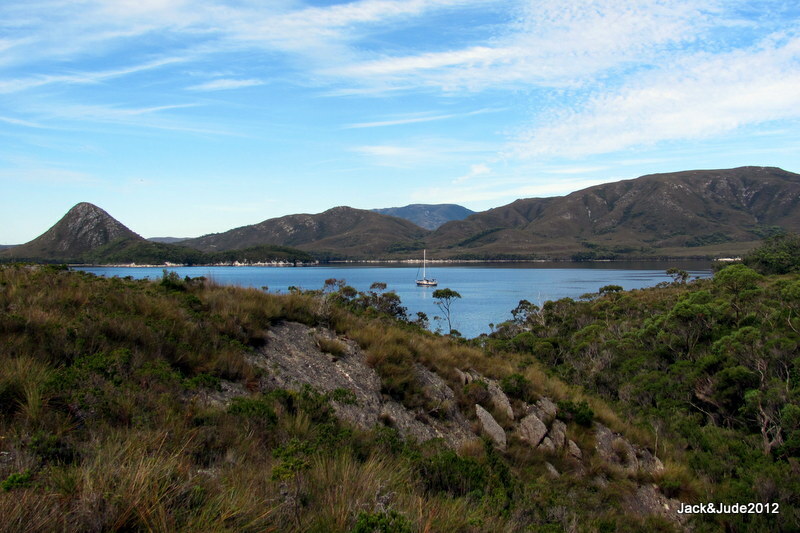 This summer we’ve accomplished so much, in both Macquarie Harbour and Port Davey, but it’s time to skedaddle round Tasmania’s sometimes-vicious south coast, a voyage often dreaded. Intimidating many say. Jude and I first made this journey in 2009, motoring pretty much every mile on a limp flat sea that let us poke into several south coast bays, admittedly while casting many a long look over our shoulders. Some wait for a storm to pass then motor at speed across windless, big swells. Not us this time. 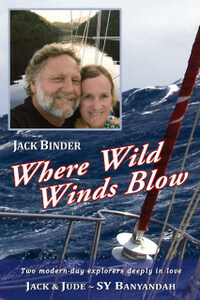 We wanted to sail the seventy-odd miles around the stegosaurus spine of South West Cape where big swells roll in from the Great Southern Ocean, then past the lonely wind blasted isles of Maatsuyker and the solid bulk of Cox Bluff, and on along the rugged coastline to the dramatic perpendicular cliffs of South Cape to finally pass the jagged South East Cape into the safety of Recherche Bay. But before leaving we had one last goal to achieve – locate the enigma of Bathurst Harbour, the gravesite of Critchley Parker. In March of ’42, a young man arrived filled with passion and ideals, hoping to find a suitable location for a refugee settlement for Jews under persecution from the Nazis. He envisaged a Jewish homeland encompassing the whole of the South West with a city named Poyunduc, the Aboriginal name for Port Davey that would manufacture all manner of products using hydroelectric power. Ill equipped for his solo trek in the South West’s harsh terrain and changeable weather, gambling all, he lost his life in horrible lonely conditions, his body undiscovered for months even though a large manhunt had been mounted. Not till half a year later when Clyde’s dog hunting ‘roos’ found his decomposing body in a tattered sleeping bag, the tent in shreds. Janet Fenton states in her book about her aunt and uncle, “Clyde was so affected by the sight that he had a horror of sleeping bags for the rest of his live.” Buried where he died, a simple cross marked the spot for five years until Critchley’s mother arranged for a gravestone to be erected by Hobart stonemason Leo Luckman. 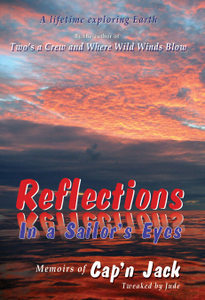 Its position is marked in some guides, but you’d be lucky to find it without a GPS position, kindly given to us by Andrew off Reflections from Hobart. After our exploration of the Old River, we passed the night tied to trees, where next morning high above our mast echoed melodious singing that woke us to bright sun and a completely calm Good Friday. With decks so wet as if it had rained, a sign the weather would turn stormy, we quickly retrieved our lines and made a beeline over the river bar without mishap. Anchored in Parker Bay two hours later, before going ashore we searched the lower slopes of Mt. 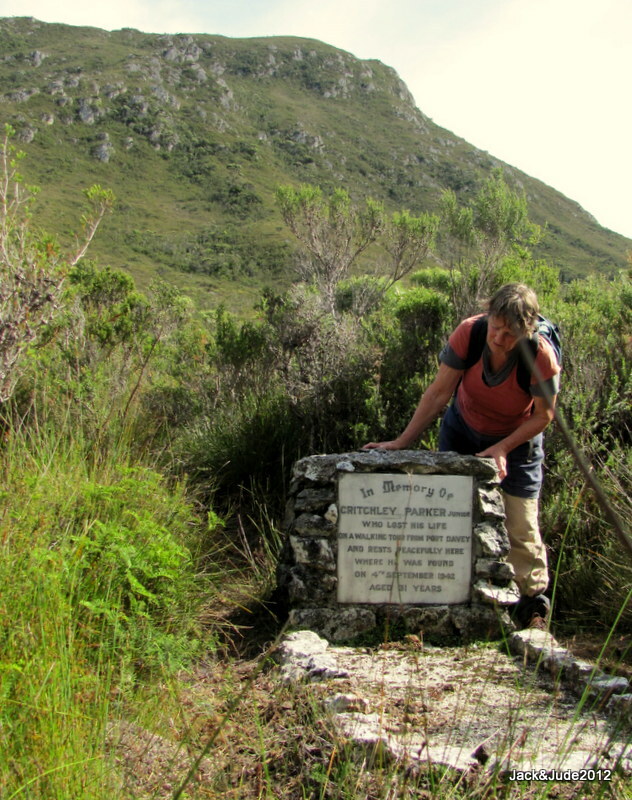 Mackenzie for signs of Critchley’s grave, wanting the closest landing place. But all we saw were obstacles of small creeks, melaleuca, tea-tree, and buttongrass. Jude and I clamoured onto shore next to a small stream convinced we’d find his grave just up that slope, and started following the GPS to the position less than a hundred meters away. But after gaining the knoll we had to descend into thick stuff up to our shoulders, cross the stream, then force our way through dense melaleuca, skirting razor grass in the deep gulley, ever watchful for Tasmania’s deadly snakes. When mere metres away, we still couldn’t see it, until a final push through more head height clumps suddenly revealed the large headstone crafted from grey quartzite collected from Balmoral Hill across Bathurst Channel. So far from family and friends, Critchley might as well have been laid to rest on the moon. Late afternoon saw the barometer falling fast, so we shifted into Frogs Hollow and weathered a gale that heaped heavy hail around our scuppers. Waiting another few days for the south-west swell to abate, Banyandah was shifted to Schooner Cove and made ready for departure. That night upon calm water I slept poorly, worried the forecast wind would arrive too early and make our westward passage across the exposed Port Davey difficult, maybe dangerous in predawn darkness. After hearing midnight’s eight bells I’m sure I heard every bell until four the following morning and rose ready for action into blurry moonshine between thin clouds. 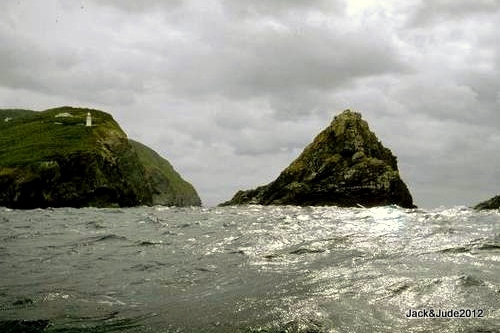 The scant light helped us see the black cliffs as we motored through the passage to Breaksea Island, clearly outlined by glittering white breakers. Immediately I felt both foolish and chuffed, the light wind was in our favour. But not having seen either sea or swell for more than a month, we at first found it disconcerting until old routines kicked in. 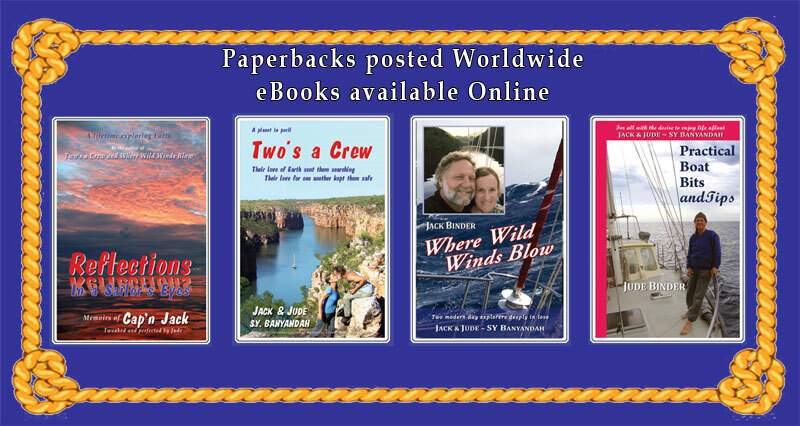 Before the advent of satellite navigation, Jude would have been at the helm with me on the foredeck, probably freezing cold, searching the abyss for any hint of breaking water or black silhouettes of small islands. 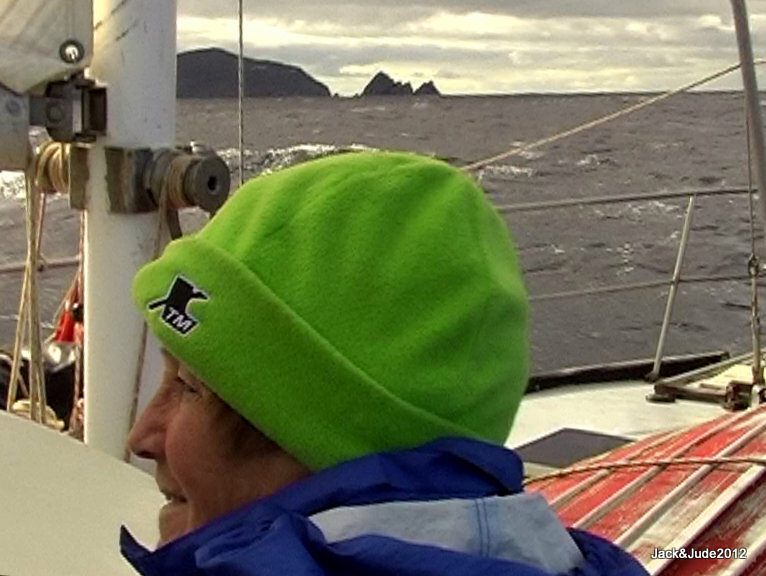 But this morning, outside of watching the repetitive two blinks on Whalers Point, Jude steered while every few minutes I popped up from the nav station for a prudent look round. Motor sailing at speed, our course cleared Nares Rocks then to seaward of Big Caroline Island and Hilliard Head, both still vague dark shapes. The eastern skies started getting lighter as the breeze increased so we shut our Perkins down. Must say, slipping silently up and over swells of less than two metres while the giant teeth of East Pyramids could just be seen in soft early light simply thrilled us. Half an hour later, red and golden rays of dawn, like a meteorite striking, shot rays over the South West Cape Range behind Window Pane Bay. Abeam SW Cape in increasing wind, we were scampering along at sixes and sevens, and I put out the trolling lure. 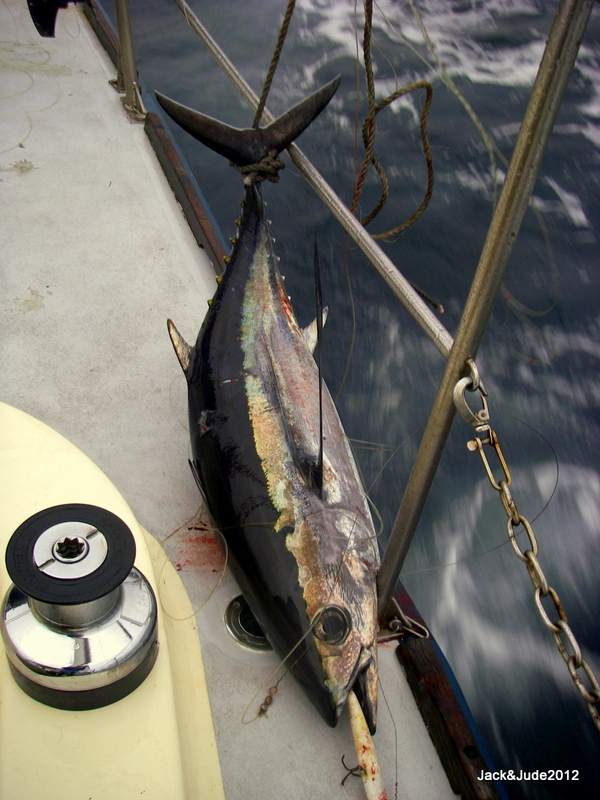 Five minutes later our digestive juices got a kick-start as I hauled in a yellow-fin tuna nearly half my length. Muscling him over the railing took both our strengths but thankfully my knife quickly ended his struggle. 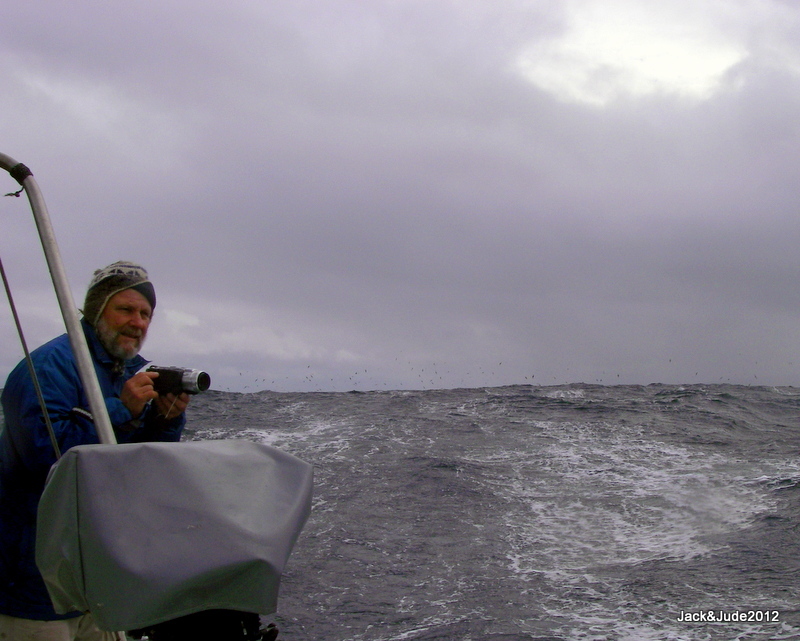 Having not caught a big pelagic fish for quite some time we were ready to celebrate, but first, butchering the animal in those seas required a danseur’s balance. We wasted little. Besides lunch and the immediate two dinners, Jude had plans to preserve the remainder in bottles. To appreciate its full majesty, SW Cape must be witnessed. Photos simply don’t convey the raw Nature of this rocky spine boldly withstanding the Southern Ocean’s powerful onslaught. Adding greatly to our fascination, the fresh breeze gave lift to Giant Albatross and they soared past our wake, wingtips brushing wave tops. Also on display were Fairy Prions, the bluest of all with a bold black W across their wings and body. They hopped across the seas looking for tiny krill and other titbits. Now in their domain, the open sea no matter how huge provides them food; the wind, no matter how strong provides their means of travel. An hour after rounding the Cape, wind from the west started bowling us along. 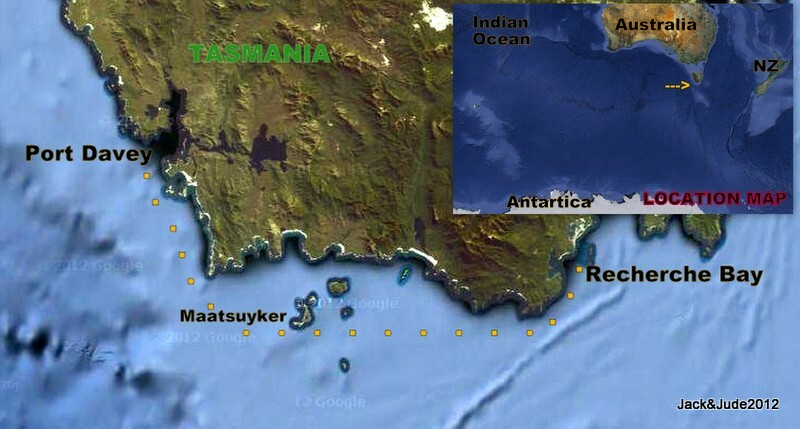 Now recording eights and touching nines, we put three reefs in the mainsail as Maatsuyker Island approached. We had seen its wind-shorn green capped ridge from the north twice before, once at sea, once on land. This time we were keen to see its southern side and shot the gap between black Needle Rocks silhouetted against Maatsuyker lighthouse, and the straight sided Mewstone. Ever increasing, the wind got to gale force and not just once did we half-wish we’d just doused the mainsail. But at the start of a new blow, the sea remained fairly gentle, so we hung on sitting under the protection of our dodger, enjoying the magic of sailing the southern sea within sight of the south coast while racing the sundown into the safety of Recherche. Unchanged except by nature, it thrilled us as it had Matthew Flinders and D’Entrecasteaux before us. So imagine our horror when rounding the last barrier of SE Cape, we saw the effect man has had. Well before anchoring at The Coal Bins, the grey-white skeletons of so many dead trees had us shaking our heads in disbelief. 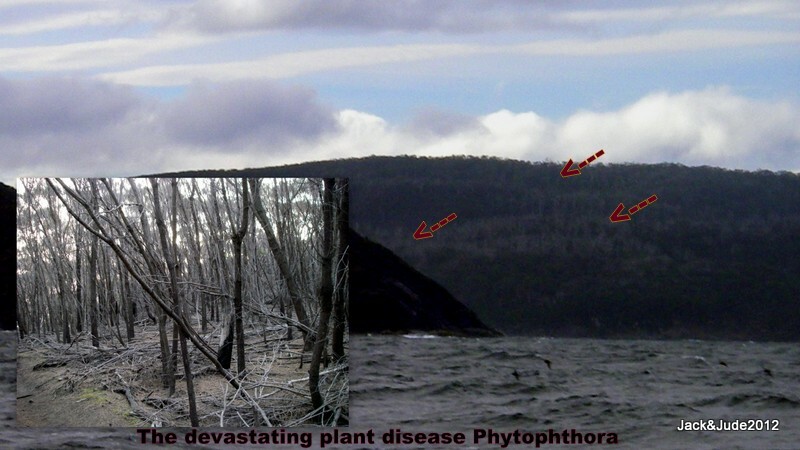 The devastating plant disease Phytophthora is arguably the greatest threat to biodiversity. Already widespread, with few management options available to control this spiralling disease, it is spread primarily by people. Crikey! Most often we mean well. But struth! We sure screw up sometimes. 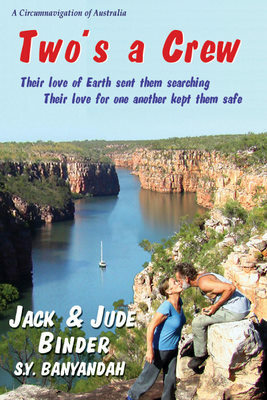 And Jack and Jude wonder if our plague proportions aren’t affecting all life on this beautiful planet. Isn’t it time to seriously discuss our rapidly increasing numbers. 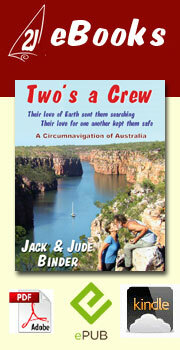 Our Tasmanian summer adventures are now on a DVD available from our website.